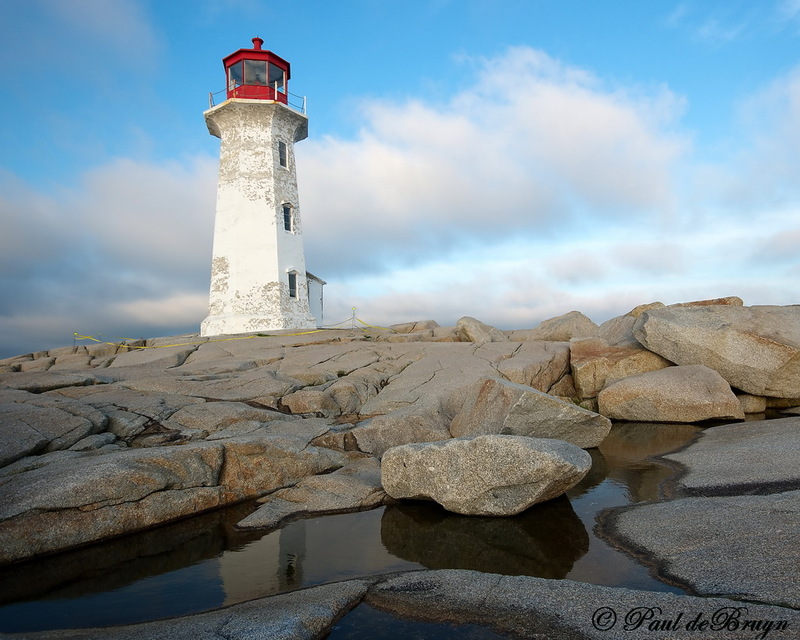 Shot this pic of the iconic Peggy's Cove lighthouse last summer during a pilgrimage I made to Peggy's Cove. If you ever have the opportunity to go Peggys' Cove take it. I spent hours there during the day, night and the next morning. Well worth every minute. Beautiful shot of a beautiful place. You captured a Canadian icon in some nice light with a nice partial reflection and without any other tourists around! I was there years ago and could not do as well as you have done here. Thanks for sharing. Lovely shot. Do you have more photos of Peggy's Cove? This place is on our bucket list and you have just made it that much more appealing. Thanks for sharing. You are very welcome. This is just one thing to see. You can climb around on the rocks for hours shooting many different scenes and angles. I would suggest camping at one of the near by campgrounds so you can come back in the evening and morning. As well, you are only about an hours drive away from Lunenburg and Mahone Bay so you might as well make the trip to these villages as well. I love this shot - the perspective, the tone and the color. Used to go there as a kid. They had cheap lobster sandwiches in the nearby cafe. Somehow I doubt that is still true! A lovely spot just the same. That's a great shot, I agree, a great place to visit. We were there in 2006. She looks like she needs a new paint job now. She looks like she needs a new paint job now. Actually, that's what they were doing when I was there. The had just finished scraping off the paint and were getting ready to paint it in the next few days. I'm thinking about going back again this year to shoot it with the nice new shiny paint job. Peggy's Cove is a beautiful place. Its been many years since I climbed on those rocks, and this photo brought back some memories. Very nice.